Leave your name and email address and we'll be in touch if a previously sold Fork Handles Limited Edition Print comes on the market. Each beautiful lithograph print is individually signed by The Two Ronnies, Ronnie Corbett and Ronnie Barker and availability is strictly limited to just 950 prints. 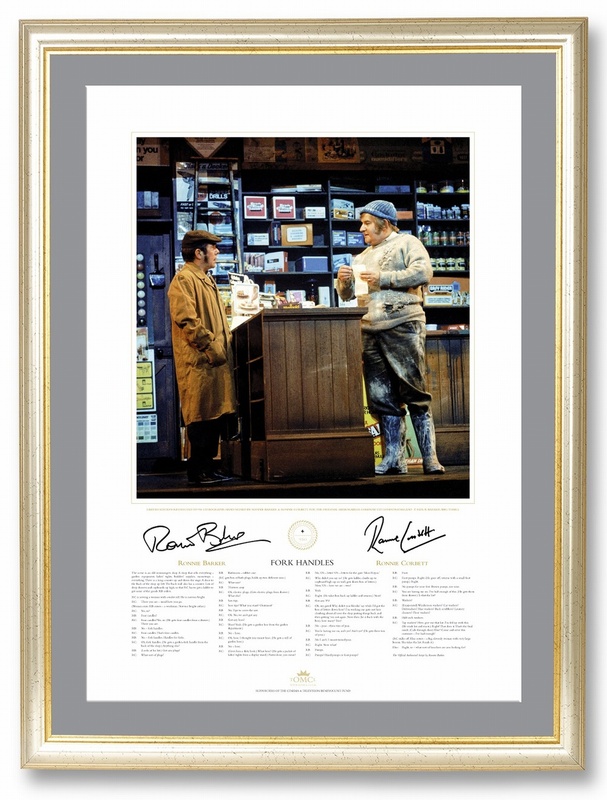 Now captured in print forever this official limited edition, photographed at The London Palladium, comes complete with the full, authorised classic script written by Ronnie Barker, with Ronnie Barker's prefered and slightly modified finish. Absolutely stunning. 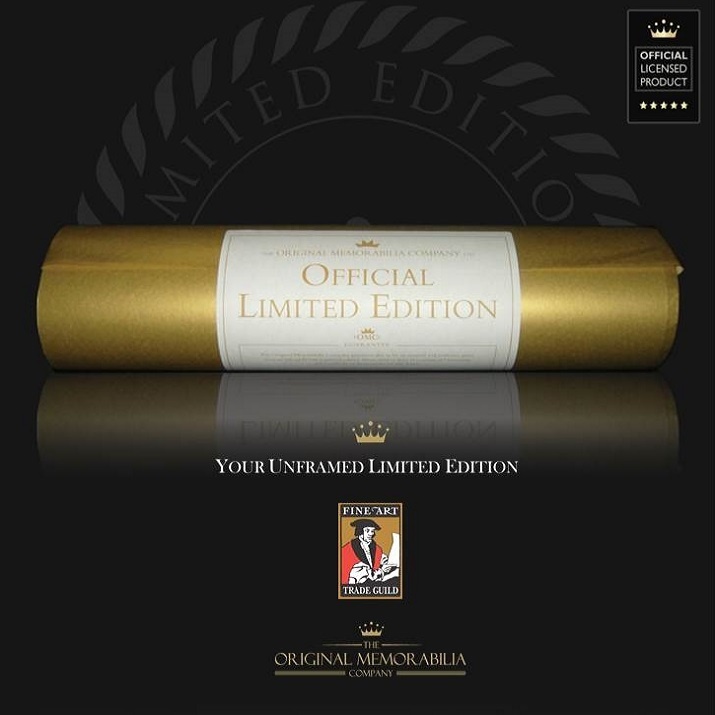 Professionally framed by one of London's leading art framers, this piece is presented under rigid 'perspex glass' in a classic grey mount with a silver and gold frame. To ensure that your purchase remains a piece to treasure, every framed lithograph is also fully dry mounted on 100% acid free art board.